June Ambrosius can do no wrong in my book. 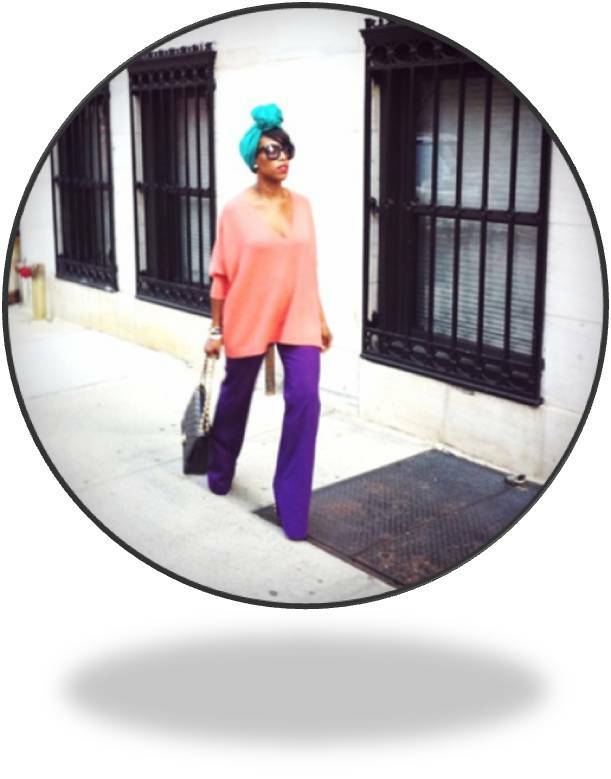 Check out this picture that she twitpic'd a couple a days ago showing off her new line of Turbans, which is "HOTT" this season. 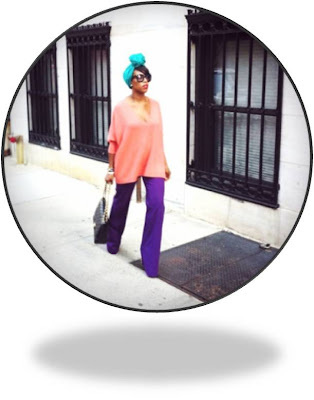 Peep how she is walking down these mean streets on New York in her FAB "Color Block" outfit. She is WERK'n it! agreed.... she looks fab in those purple pants!